Our collection at Boxers and Briefs contains only the highest quality Emporio Armani Womens Underwear. Our Emporio Armani Womens underwear collection includes the Emporio Armani Visibility Pop Lines Stretch Cotton range. The Emporio Armani Visibility Pop Lines Short Top is fabricated in a stretch cotton to ensure a comfortable fit, and is available in a variety of desirable colours. 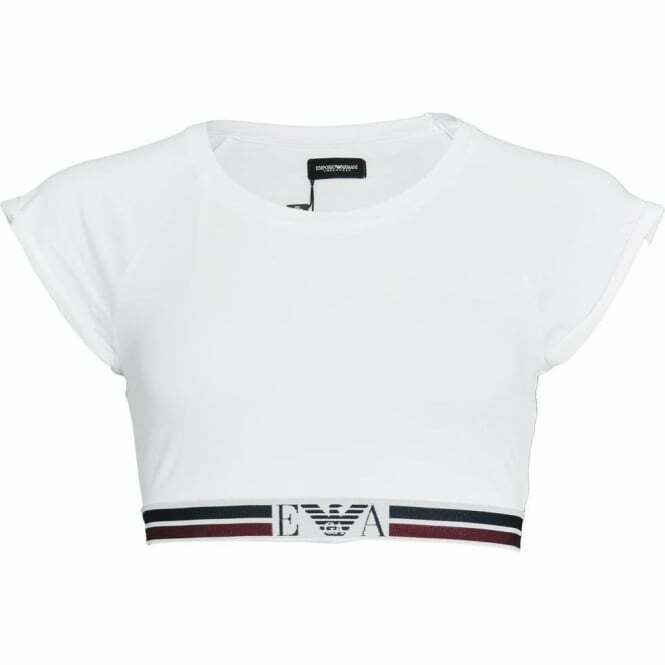 In this range we have the White Emporio Armani Visibility Pop Lines Stretch Cotton Short Top, which is available in multiple sizes ranging from Small to Large.